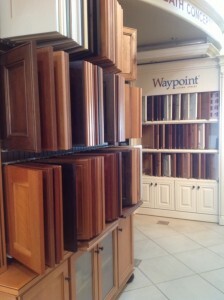 Distinctive Cabinetry offers cabinet discounts to Professionals. We identify “Professionals” as anyone with a business that provides services and/or products to Homeowners-Contractors, Builders, Developers, Interior Designers and Architects. If you fall into one of these categories you could benefit from our one of our Professionals Program incentives listed below. Additional Manufacturing Cabinet Discounts for personal use. Our suppliers provide additional incentives for larger projects. Normally a $450 – $600 fee. Waived for qualified accounts. Need mileage? We happily accept all major credit cards. Our suppliers have very consistent production schedules, so we can guarantee very accurate delivery. Also, we use our own trained delivery crew insuring minimal damage. Our modern Walnut Creek showroom permits professionals unlimited use of door, stain and hardware samples as well as a conference area to meet with clients. Stop by to view the latest custom cabinet trends in Walnut Creek; Mission Cabinets, Transitional Cabinetry & Shaker Styles. High-speed wireless internet access is available. We’ve been in business long enough to see just about everything. Our years of kitchen & bath cabinet design and installation make us experts to fix, adjust or provide installation advice on any project. A representative from Distinctive Cabinetry or the Manufacturer’s Representative will respond within one hour of notification of any problem. Distinctive Cabinetry is devoted to the special needs of professionals. Contractors, builders, interior designers and architects can depend on us for excellent design and service. View the latest in modern, contemporary and transitional styles showcased in our showroom. 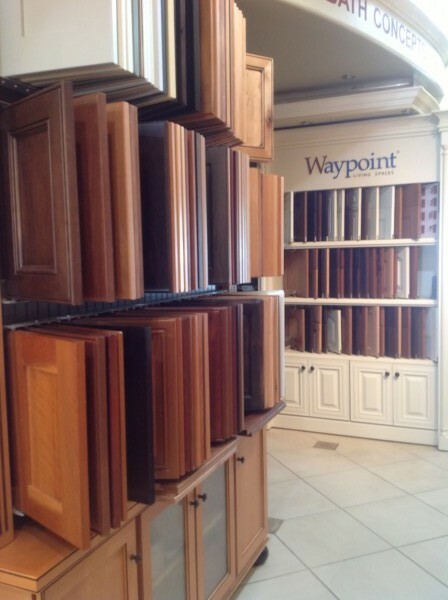 We encourage you and your clients from Alamo, Lafayette, & Danville to visit our kitchen cabinet showroom. Distinctive Cabinetry will make your cabinet selection simple and affordable. *Some features require minimum sales history. The “Professional Program” is only available to qualified Professionals, call for details 925.588.2411.